Notes: Roger Federer after skipping the French Open with a back injury returns to kick off the grasscourt season at Stuttgart…Federer is the lone Top 10er, but a strong field includes a number of floaters…The Top 4 seeds receive opening-round byes…Interesting starters include (1) Federer vs. the American top prospect Fritz, (8) Pouille vs. the Aussie Millman (winner to face the Del Potro vs. Dimitrov victor) and (7) Kohlschreiber vs. the French riser Herbert…Wildcards were awarded to Germans Michael Berrer and Jan Choinski, and the Argentine Del Potro…Pulling out of the event were Evgeny Donskoy and Benoit Paire…The Bryan brothers are the top seeds in doubles…The tournament changed surfaces to grass starting last year when Rafael Nadal beat Viktor Troicki in the final. Hooray for grass, and the returns of Federer and Delpo etc, great to have almost everybody back for the grass court season …. Having prudently skipped Roland Garros, Roger has plenty of time at his disposal to participate in warm up grass court tournaments as preparation for his quest of the record shattering 8th Wimbledon title. With Novak threatening his record of Major collection, the only way Roger can preserve his record is by adding to it to make the task even more arduous. Glad to See Fed back on court and grass together with Delpo and a fee other bames thatn can play on grass. With this weeks and next week Halle/Queen, should be fun to assess who ate the in form for Wimby. Dimitrov x DelPo first round in Stutgart, interesting. Ahhhh…Grass. Good to see Fed back in action. Missing the artistry on court. Well, if you can’t have slams anymore, at least there’s artistry. Dancing with the Stars might also be worth your while. Dunno Skeezer. I thought the drop shots, and counter-drop shots, were pretty artistic yesterday. I like the way Federer levitates, but it doesn’t mean everyone else is a troglodyte. You’ve done it again, this time I learned another new word, “troglodyte”..
Ha! Don’t overuse it on the forum Wog Boy….. LOL. On another note, go Notts! You may try to find this post in a several hours since it takes a while for my post to appear due to moderation… Anyway, I’m sure you all will find it – it’s important news about basketball (correction: it’s about cricket)! Looking forward to watching Grigor and Delpo today, hope his wrist is OK now …. Nice win for Delpo, hope he has a great week …. She wasn’t under moderation for posting another sport. And not the first time posting about other stuff besides tennis. Nice try. That was a very nice win for Delpo. Rough start to draw Grigor in the very first round…. not even grass os savong Grigor now. Nice win for DelPo, hope he goes deep. Can Dimitrov still be saved? Would a girlfriend who does not shadow him in both age and status help? Markus – I don’t remember the timeline all that well, but it seems to me Dimitrov was playing at his best when he was with Sharapova. I don’t like her, but she is the consummate professional. It may have rubbed off on him, because right now, he seems like a total mess. Markus, hahaha! Well, your argument was legit because they both said that’s why they broke up – to improve their games – but that doesn’t seem to have transpired for either. Maybe they should get back together? Yiur reading skills are failing you, TB stands for Travis Bicklle and he is under moderation, that is so obvious. Yiur reading skills are failing you, TB stands for Travis Bicklle and she is under moderation, that is so obvious. at 35 years of age (almost), Fed can’t beat a 6 years younger Djokovic in best of 5. Accept it. He’s done. Since turning 29, Fed has won a sum total of 1 slam. Don’t you remember? Since turning 28, Nadal has won zero. Lets see how age treats Djokovic. Though he has the unique advantage of no young great player in sight. Since turning 28, Djokovic has won 4 (four) Slams..and still going. Since turning 28, Roger won 2 (two) Slams. Lets talk about “since turning 28” then. Or any other age, since facts are obviously not on your side. Since turning 28 (Aug 2009 for Federer), he faced a 23 year old Nadal at his peak and a 22 year old Djokovic, who reached his peak form starting in 2011. So federer did not have even ONE DAY of the great luck that djokovic has and continues to have. Now lets see what Djokovic has had to face since he turned 28. A 23 year old multiple slam winner? Nah. A 22 year old slam winner? Nah. A 34 year old in 3 of his last 6 slam finals? Yeah. Wow, must be really tough for Djokovic, to constantly have to face a 34 year old player in best of 5 matches (who is 6 years older and about 10 years past his prime year). Or a 29 year old Mental midget (murray), who is 2-8 in slam finals, the worst conversion rate in history or anyone who has played that many slam finals. Or a 30 year old Nadal with a creaky body and clearly way past his prime (where he is now losing to Thiem and Fognini ON CLAY). Yeah, its been a really tough going for Djokovic. Yeah, when you are 28/29 years old, its so much harder playing a multi slam winner 5 or 6 year older rather than a multi slam winner 5 or 6 years younger, right Wog Boy? If you are honest, you will agree that Nadal is the one who had to face the toughest competition throughout his career. Never has he had even one year without having to face a multi-slam winner at THEIR peak. Roger didn’t have Nole’s “luck” to have to fight his way through two best players ever in their prime to reach the top, right? Don’t tell me Sampras or Agassi, they were gone by the time Roger took over, the one he has to beat to get to the top was mighty Hewit. Somehow we are always coming back that Roger’s peak was 2003-2007 everything else doesn’t count for you, but then you are giving ammunition to people who are calling 2003-2007 what? A yes, Weak Era. Now CF1 can take over, that is part for him to further elaborate and you are helping him out with your posts, I am done for today.. Thanks for the info from 07 June. Have seen it only now. People who refer to Andy Murray as a mental midget are themselves midgets. They evidently have no clue. Andy has beaten the other 3 of the Big 4 multiple times. And versus the rest of the field, he’s practically a shoo-in. He is quite possibly the greatest athlete GB has ever produced. Statues of him will probably be erected in his honor in several places when he hangs his racquet up. He might get knighted, though I’m not sure that knighthood is his style. He’s too much of a down-to-earth type of guy for that kind of thing, in my opinion. Will you have one single statue built to honor you? And not paid for by you yourself? Yes, Nole is so lucky. He’s never had to play against the (new GOAT) Djoker in a GS final. Isn’t he the luckiest? U said what I wanted to say but I didn’t have the guts. Taa very much. Wog Boy, read my email. I said NADAL had the toughest time, not Fed. 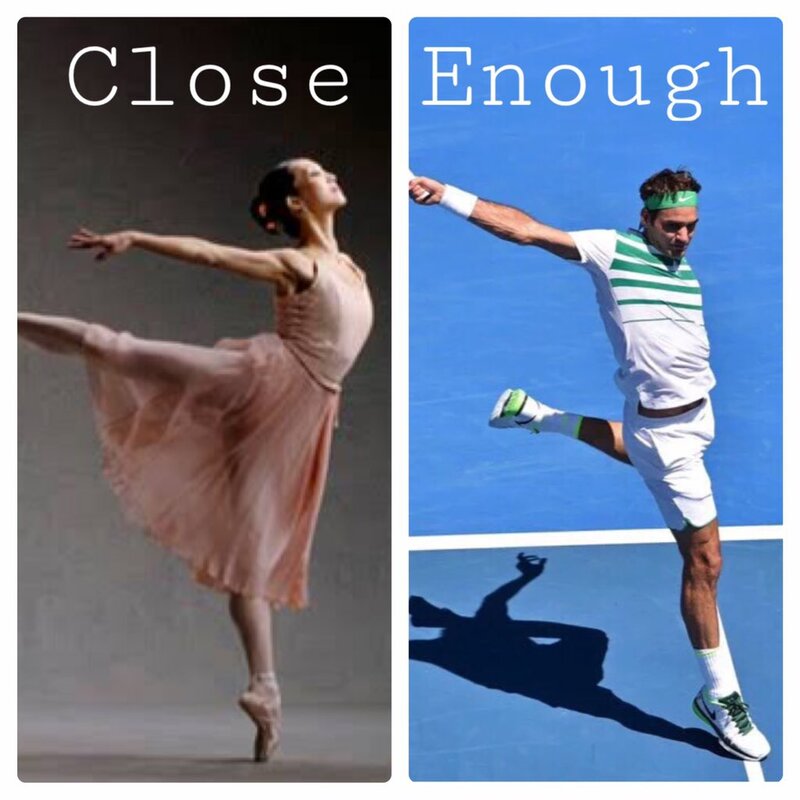 Go and fight with Fed fans on this one. As for Djokovic, NOBODY has given me ANY example, not even one, when a multi slam winner, IN HIS WANING YEARS (like 28/29 and above, when they NEED to avoid younger great players) had to face NOT A SINGLE younger multi slam winner to win slam titles. Maybe Sampras’s last couple of slams fit that Bill, that’s it. Borg got uppended by a younger McEnroe. Mcenroe quickly got beaten by Lendl, then a younger Becker and Edberg. Lendl got beaten by a younger becker and Edberg by the time he reached that age. Becker, Edberg, Wilander – all got beaten repeatedly by younger Sampras and Agassi. (BTW, these are all great champions, 6+ slams). Fed very quickly had a YOUNGER Nadal to deal with starting in 2005, and then an even YOUNGER Djokovic by 2009/10. That has been the law of nature. 6/8+ slam winner have ALWAYS had to face YOUNGER 6/8+ slam winner by the time they hit 26-28. Of course Djokovic is a great champion. But lets keep the facts in perspective. I can see both POV, on the strong /weak era thingy, what both have done / or doing, has been / is quite incredible, im not a fan of Novak or Roger for that matter, however i would say Novak as the commies alluded to after the final of the FO, has won all his GS titles beating one of the top 4 ranked players, not to take anything away from Roger though as his achievements are amazing, and not his fault that his rivals were not good enough, my two cents …. As for Murray’s mental strength – 2-8 slam finals record speaks for itself. When it comes to THE MOST IMPORTANT matches, most pressure, best of 5, slam final, the ones that really matter – 2-8 is pathetic. This is when he has a strong game, is tall, fit, NOT OLDER than his other 3 main rivals (so has NO age disadvantage). Maybe Novak wont get to RFs 17, but if he wins W and USO, and the Olympic Gold, he has a case for being the GOAT, then unfortunatly for the rest of the field, he will go to the AO next year, his favorite surface, his best slam as the favorite, so it might not stop at 6, he could get to 7, pure conjecture and all ifs and buts ATM though …. Willow, its possible. Who’s going to stop him – a 35 year old Federer with back issues, 30 year old Nadal with wrist issues, or a 29 year old Murray? Thiem has some growing up to do. Stan is 31 (could catch fire, but I think he has had his last hurrah), Berdych is – well, Berdych. Nishikori could stop him, but in best of 5 his body is not strong enough (he’s no spring chicken either at 26), Raonic is 25, but has yet to show game or body for best of 5, Gasquet? Nah. That’s the top 10 right now. Goffin is 25 already. The next young promising guy is Kyrgios at no 19, but he heas ways to go mentally. So Thiem is it, if any younger guy has to break through to be a 5-6 or more slam winner. But as I said, Thiem has some growing up to do to clean up his game. So who’s the competition?????????????? Where is the McEnroe who challenged Borg, or the Becker who drove away McEnroe, or the Sampras who drove away Becker? No, it’s not the law of nature, because modern tennis started in the second part of the 80s, and knew another big change about the beginning of the millennium. The stable period before that, without technology changes, is the period pre 1980. And then, champs lasted well in their thirties. Rosewall won 3 slams after 35, and 4 after 30 (he started playing slams again at 33); Laver won 4 slams after 30, and stopped playing them, focusing on exhos, where he could earn more money — after the GS, he played almost exclusively in the US; Andres Gimeno was 34 when he won RG, Ash 32 when he won WB, Newcombe won the AO at 31. Another stable period were the nineties, before the strings revolution. We see that at the end of that period: Agassi (who adapted to the new strings), won 4 slams at 30+, Ivanisevic and Korda were about 30. Lendl would have won more, had he been able to adapt to a bigger racquet; the same applies to JMac, Connors, Wilander, and, later, to Sampras, whose game was not adapted to new strings and more spin. The age thing obviously has not applied to Nole so far. Why? I have news for you. He’s that good! Whether you like it or not. 29 is the new 24, as far as Nole is concerned. He is a late bloomer. His peak started at 24, not at 19, 20, 21 or 23 which was true for past legends. And therefore he has been able to stretch that peak period to a later age. And maybe longer than anybody, except for Roger. None of the previous legends were gluten-free. Their bodies weren’t as elastic as Nole’s. They weren’t as athletic. Not even close. Plus, his holistic approach in life has kept him at the top for so long. It’s both physical and mental. He slides on hard courts! Did you see Connors, Borg Mac, et al do that? No way. Nole does it almost every point. And none of the current players do it as often as he does. Nole has changed the way tennis is played. And his game is obviously the most successful right now. Nole has changed the way the game is played… take a look AND LISTEN. It’s a bit of a conundrum – Novak has won so many majors in the last few years that very few other players have won any. Should that be held against him? Seems perverse. As for Federer, in 2015 it was all the rage to say he was playing better than when he was at his peak. But, I guess because Djokovic beat him at Wimbledon and the US Open, we’ll just pretend that’s not what people, including Federer himself, were arguing. We’ll go back to saying Federer was washed up. What’s pathetic is the fact that this is classic and pathetic fed worship drivel. You don’t just look at the numbers. You inspect the stories behind the numbers. Quality vs Quantity, remember. Do we need Mr Laver to give you another lesson? Uh that was mainly one poster, and she knows who she is. Fed was not washed up either, why go to extremes? He was playing well in 2015, but NOT in his peak from thr past. Skeezer, I’m not just talking about this Forum – I’m talking about commentators, the press, etc., and Federer himself. Many, many people were picking him to beat Djoker at Wimbledon, and again at the U.S. Open. James is the one who implies Federer is washed up – 35 with a bad back etc. I agree we shouldn’t go to extremes. Fed was a fine player in 2015. I have no idea how he’ll be for the rest of 2016. The Rogerator is calling his idol Federer a “she poster”???? My how times change when the former great falls out of the Race to London Top 10 but this??? “I think he (Federer) is a better player now than he was before. It was 10 finals in a row at best for the Swiss champion, for those counting at home. “These players have just improved — they’ve leapfrogged Roger,” Cash said. “Djokovic is playing some of the best tennis of his career, he’s clearly in his prime. “I think Roger is overall a better player but on this surface it’s very hard to get past guys who are playing ground strokes. “So was his prime when he was winning more, or now when he’s playing better? It is waht me, MMT and a few others aleays diacussed, the more win either the better you are or you win too much because exteenal factors (lack of competion, weakera, you name it). But the things is you are only going to be dominant if you don’t allow others to win, and by doing so, if there is no others winning there is “no competitin”. Agree with what James pointed, Nadal was the one who never got a break. I am in the “you are just” too good type of gut, for what Federer did in 2004-2007 and what Djko os doing now 2015-2016. Have that Djoko beat only big bames in hos 12 run. Yes, he beat them in 11 of those but the Federer and Murray he is beating since 2014 are Slamless since, even when Djoko lost to others. – Nadal last Slam is RG 2014 (8 Slams ago – 2 years; 0 Slam fianls). They are not the same players, Fedal aged and Murray never got back to winning ways. Regarding Murray mental frailty, it has to be considered, Federer last two Slams wins came agaisnt him (AO10′ and W 12′) and Djoko last 2 as well. And also there is any young player coming in. Mat4 showed variarions throgh years but didn’t comment on what James said. It is a fact, it’s the first time we have a dominat world #1 qinning multiple Slam with no young player coming in, not even close to becoming a multiple Slam winner. But also Djoko overcome two legends and prevent Murray, whi mant thought, me included to co-share the Slams. Slams), but that is about it. Wawa is jot winning Slams anymore, he just seems to be on way down. Roger has 1 last chance in W-UsO if somebody beat Djoko or Djoko just decidess to have a really off day, something we haven’t seen in a while. Even last tear RG final Djoko was still playing good enough to beat almost everybody, not an inthe zone Wawa. Djoko’s lst bad math in semis-finals in Slams was USO 14′ versus Kei, from there on he was the man to beat and always delivered, which I thibk he will continue to do so. But eventually he may get a bad day agaisnt an in form opponent and can lose. Prime is when you are winning more, playing the best and at the peak of your physical abilities. The three were true in 2004-2009. They are not true now because he is not winnig as much and not at the peak of his physical ability. And some mat consider he is playing his best technically and some may not, here is subjective. The other points is simple math and fisiology. Above 30 you are not the same as when you are 24-28. No arguing here. The case for winning more could also be subjevtive depedning if you tend to the weak era no competion or too good for the field. In 2012-2014 he was peak form, age but not winning as much, still peak but not as now. Federer in 2012, past age, decline in physical ability but still has a peak spam during summer. But he waa not in his prime. Dello win in straight and Cilic lost to Stepanek. Hope DelPo makes the final, two more matches. Pat Cash disagrees with your opinion on prime in this context because they have a different interpretation of peak than you. And to be fair to Fed, he didn’t say he was in his prime last year, just that he was playing better than he had in his prime. I’m just the messenger here. i don’t think you can pin an age on peaks/primes because, again, things are always evolving and changing in sport. now, with proper nutrition, better training knowledge, dedicated lifestyles, larger teams, improved technology (racquets and strings) etc, players can succeed much longer. and thus, younger players have a more difficult time breaking through now than they might’ve in the past. gosh, players used to go drink beer and have smokes after a slam match, ha ha. no wonder their careers were truncated. then, there’s this injury thing, which has a lot to do with genetics and maybe something to do with style of play as well. and with that in mind, it’s sad to hear – albeit not surprising – that rafa’s out of wimbledon too. i suspect he’ll be pulling out of the olympics next. but i don’t know. what’s the surface in rio? But see, the Cash view is more narrow, he only considera “form” or technical ability, which is subjective. I can say that Dimitrov is technicly a better player now that je was 2 years ago and with evolutionnof sport it could be true, but does anybody really will say he is in his prime or peak? He also has the age prime but he is not winning. With Federer is not, he may have a better drop shot but his volleys were better in 2003-2004, hos FH withou any qiestion was better in the past, his footwork, hos BH DTL was a weapon hardly seen this days. He may have more shots now but a fee decrease with the years and I canbet his ace count per match decreased as well. Jane, agree that you have peaks and calleys but the overall prime is easy to see. See that ot began in 2008 with his Wimby breakthrough and first ascending to #1. Begin in 2011, multiple Slams and first ascending to #1. It will end in a few years time when he stops winning majors. He will have better years than others (2011; 2015 and now 2016). thanks for that video jun; it’s amazing! Nah, no offence daniel, but I trust Roger’s opinion. He’s more objective than many of his own fans. The surface in Rio is HCs, but i suppose given that hes such a crap HC player he should now forget the Olympics as well as W, even if they have him down as a flag bearer ? …. His opponents in those 10 GS finals? You mustn’t have much left. “You mustn’t have much left”. I have plenty left, maximus gargantuaness. just not for you. Fed played very well in 2015 – in patches. What was lacking was the consistency over 5 sets. Over 3? Yes. by the time he reached the 4th or the 5th set, he WAS washed out. Many of the posters here see his first one hour of game last year and say – look, Federer today is better than 2006. Well, have you looked at his 4th hour of play and compared it with his 4th hour of play in 2006? Not even close. Too many unforced errors, and he positively looked tired, tired, tired. Try to understand the full depth of a game, not just some snippets here and there. For most people, the French Finals will be the most important match of the year, and historically it certainly will be remembered as such. But today’s match may be my most important. Because it has brought hope back to me, for the first time in years, that Juan Martin Del Potro will be a force in tennis again! With Berdych, he stayed close but couldn’t last. With Thiem, we didn’t know if it was a fluke, or if Thiem was out of gas. Now this. Berdych, Thiem and Simon. Del Potro is AT LEAST at their level. And he’s just getting started. His forehand looks amazing, his serve looks amazing. He can crack the top ten AS IS, and that is just fantastic. If he can still improve his BH, movement and fitness, he can be a Slam threat. A tall order for sure, but to SOME extent it will happen, we’ll see how far it goes. But as of today, and barring injury, I see a top ten player again in JMDP. That’s just awesome! That is a world class semi-final line-up. Viva la extra-week! Fed was very consistent in five sets from Wimbledon until AO/16 playing, as he said himself, better than he did 10 years ago, until he ran into someone that is playing even better than Fed in each of those three slams. Got a chance to see Delpo live, his FH is amazing. would be great if he can get back into form. Great lineup for the semi’s.